If you have ladies in your home with long hair, you can definitely expect to experience clogged drains in your house! My two daughters and I have long hair, and it seems that our drains get clogged quite often. If it isn't the bathroom sink, it is the shower. Sure, we could call a plumber to get those drains unclogged, but why waste the money? 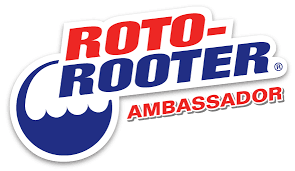 Roto-Rooter® has a complete line of powerful and fast acting drain care products. Each product has been specially formulated to meet the demanding requirements of professionals and homeowners who expect professional results. 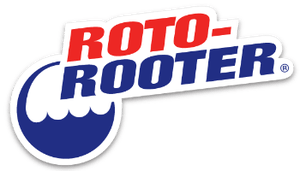 Roto-Rooter products are effective and affordable! 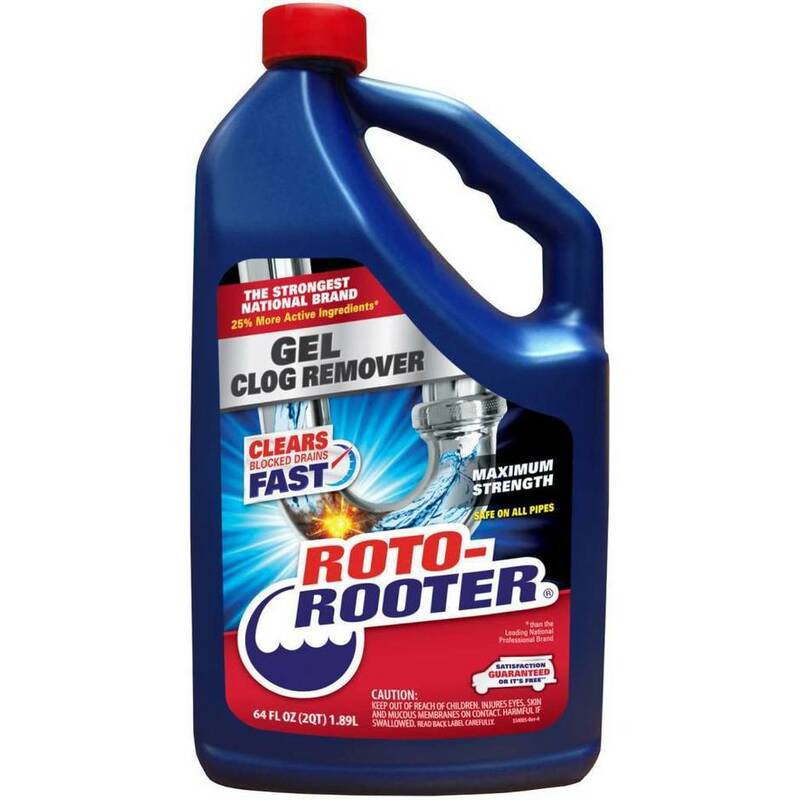 If all of the above fail, I recommend Roto-Rooter's Gel Clog Remover. It has the most active ingredients, and the precise viscosity to power through standing water, penetrating deep into the clog’s source, FAST. 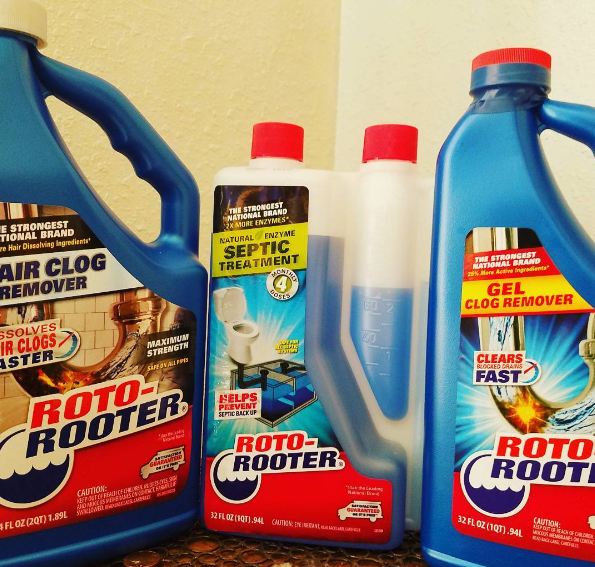 In fact, lab tests have proven that Roto-Rooter Clog Removers clear tough clogs up to 50% faster than other national brands! Roto-Rooter is safe for all types of pipes and septic systems. 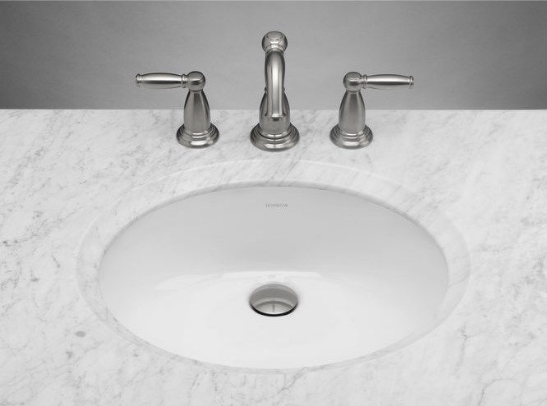 For stubborn shower clogs, try each step that you would use on your bathroom sink. (Shown above.) 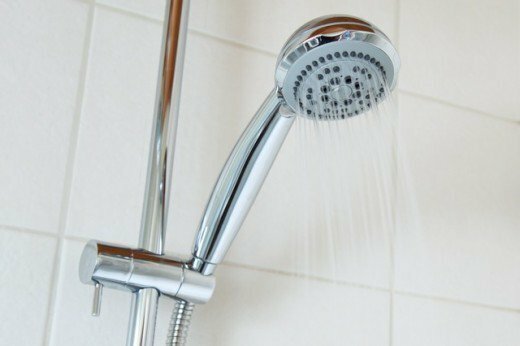 In my experience, unclogging a shower drain often requires a combination of more than one of these methods. If all of the above fails, don't call a plumber! 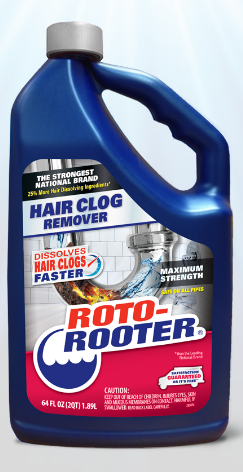 Try Roto Rooter's Hair Clog Remover. The Hair Clog Remover is a professional formula with the right thickness and 25% more hair dissolving ingredients than the leading national brand, removes hair clogs and clears blocked drains fast. In fact, independent lab studies have proven that tough clogs are cleared up to 50% faster than other national brands. 1. Squirt generous amounts of dish soap or shampoo into the clogged toilet. 2. Add a gallon of very hot (but not boiling) water to the bowl. 3. Wait a few minutes and watch — the water should break up the toilet paper, and the soap should help it slide down the pipe. 4. Use a plunger and plunge a few times, and then flush. Does your home have its own septic system? We have one. This requires maintenance, or you may experience some disgusting septic overflow. 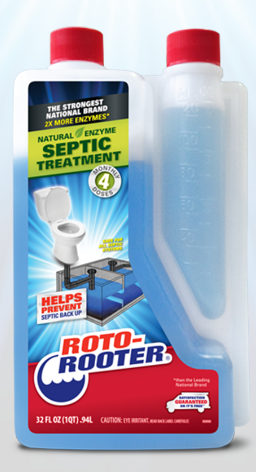 The Roto-Rooter Septic Treatment is scientifically formulated to help prevent septic backups. This Natural formula uses 2X more enzymes than the leading national brand to eliminate MORE paper, fats, oils, grease, protein, and starch. This product also helps eliminate unpleasant odors and dampness in leach fields. Keeping your septic system running smoothly help you to avoid costly plumbing repair and cleanup! Enter to win! One winner will receive one bottle of Roto-Rooter Gel Clog Remover and one bottle of Roto-Rooter Hair Clog Remover. I would love to try the Roto Rooter hair clog remover. I have long hair that constantly clogs the bathtub. I haven't found a great way to clear it yet. Our bathtub clogs the most. We use a plastic long drain cleaner thing and if it get bad, a liquid drain cleaner. My shower gets clogged the most often. Unfortunately from my long hair. I usually use Drano to unclog it. We usually use Liquid Plumber or Drano. It's the shower drain that gets clogged the most thanks to my long hair and various products! My toilet gets clogged the most. I usually just use the plunger and. My bathroom sink gets clogged the most. I have 2 daughters plus me so it always gets clogged with hair. I usually use a hanger to unclog it! My bathroom sink gets clogged with hair. I have tried to use long tweezers to get hair out, but it does not work well! I have a small sink plunger that works most of the time on the sinks and bathtubs on our house. When it doesn't, I pour chemicals down the drain. The shower gets clogged with hair. We pour bleach down the drain and let it sit for an hour or two. We usually use a snake. The kitchen sink gets clogged most often. My bathtub drain clogs every once and a while, and I tend to use vinegar and baking soda to clear it. my bathroom sink gets clogged so i use drano. Usually the tub because of my long hair. I have never tried Roto-Rooter but judging by the name and your review I am sure it works great! Usually Drano but we just had to rent a snake and unclog my kitchen sink! 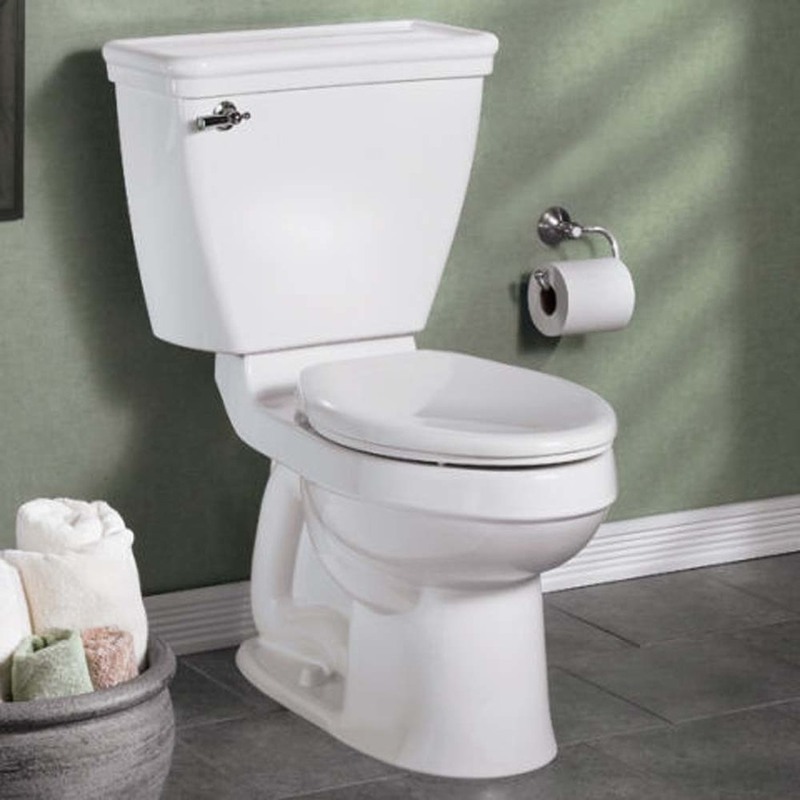 I want to try something new to unclog my drains because I constantly have clogged drains. The plumbing in our house is very old, and the bathtub is constantly getting clogged. I have tried drain cleaners from the supermarket, but the only thing that seems to work is a good old-fashioned plunger. I would like to try this Roto-Rooter drain opener, though. Thank you for the chance to win. The mop sink gets plugged most frequently. We use Earthworm to keep the drain clear. What gets clogged the most in my house is my daughters shower drain. She has beautiful long auburn hair but it wreaks havoc in her bathroom. We usually get these long zip things and unclog it followed by a liquid. We use Drano to get out the clogs. We have clogs in the shower drain. We normally just use draino and a plunger, our toilet gets clogged the most. Bath tub clogged most. We use drano. We use a Plunger, Liquid Plumber or Drano. Our shower gets clogged the most from my long hair. I normally unscrew the pipes or use pliers to get clogs out. Our problem clogs are normally hair or grease. I've used all the things you mentioned in your blog. Our kitchen sink gets clogged most often. The last time we had to call a plumber after trying everything. He had to go upon the roof because the drain inside the house was clogged with grease. Our bathroom sink gets clogged the most. I sometimes use a cheap off-brand declogger or even the plunger. In my home, the hair is the leading clogged item in my plumbing.